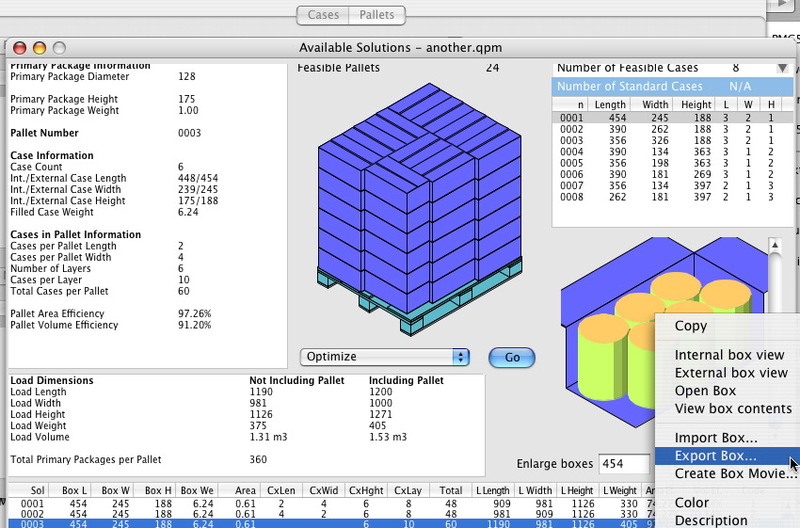 The following screenshots show a pallet being loaded with a list of boxes. 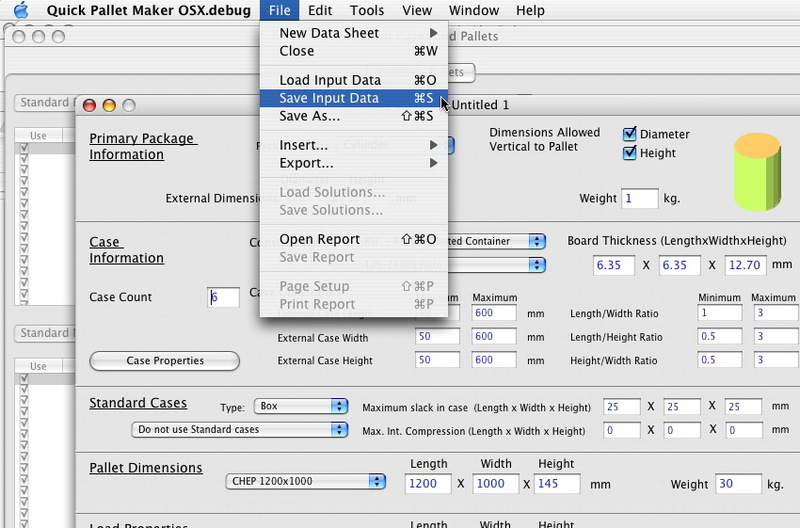 Here are a couple of Quick Pallet Maker screenshots we collected today. 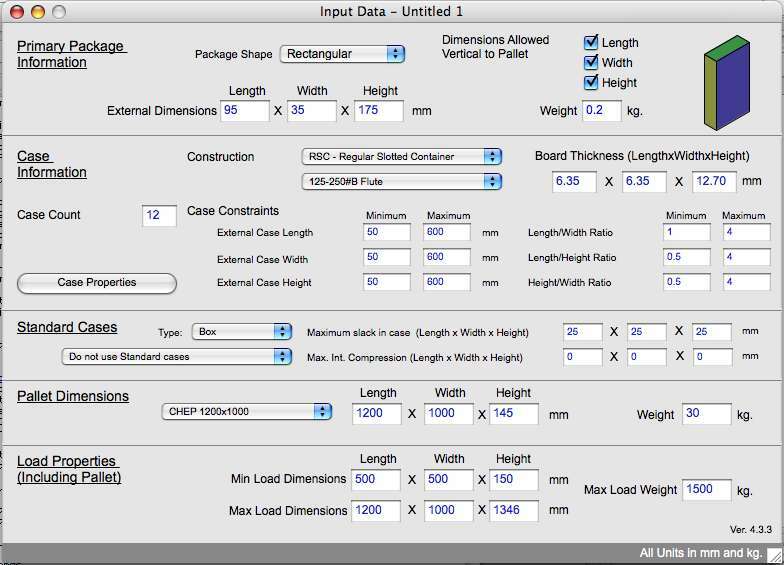 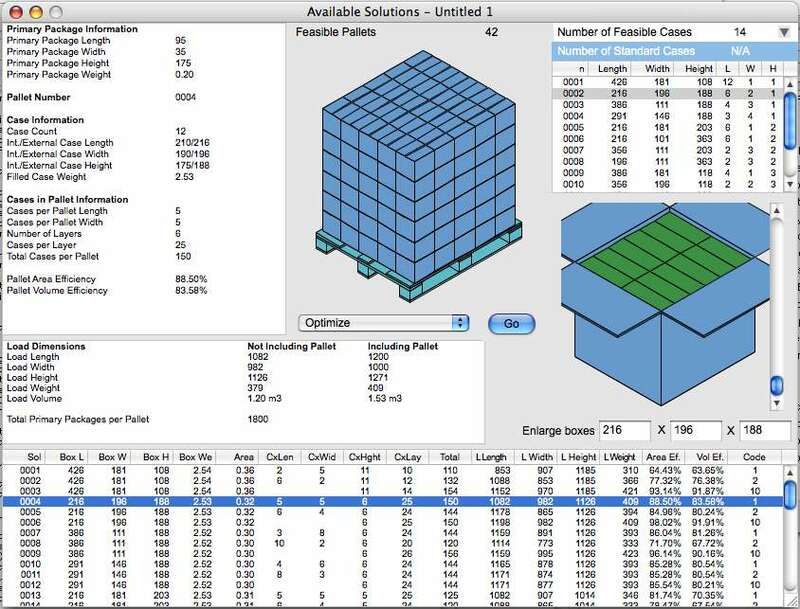 Below are three screenshots related to a package into box into pallet calculation. 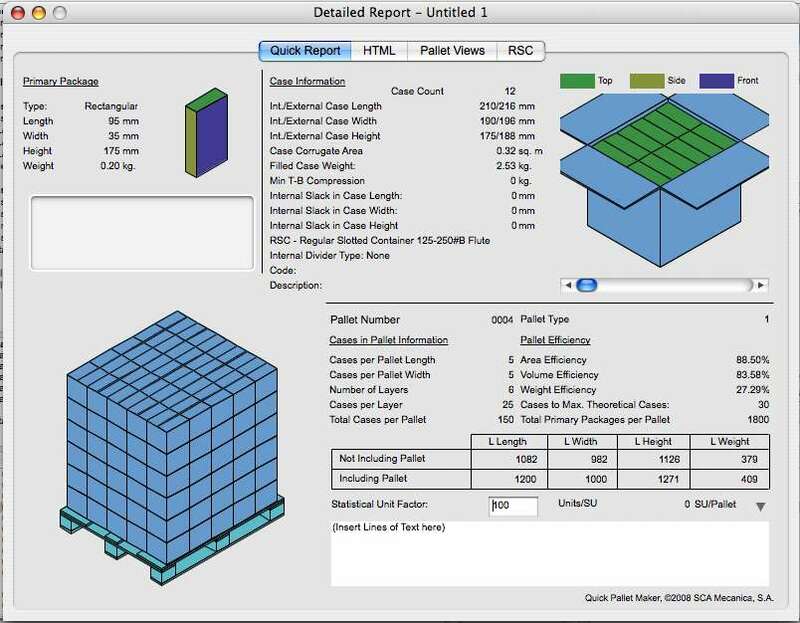 The first one shows the input window, the second graphic shows the available results window and the third shot shows the detailed pallet report.